After chatting with a Swedish colleague about Swedish clogs, I had a bit of a browse on the web. 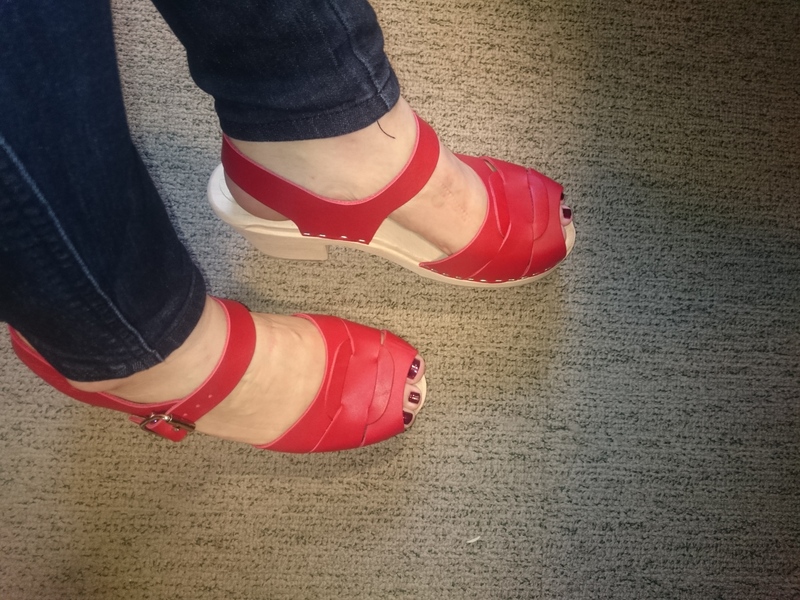 Swedish Hasbeens are big in this area of the shoe market, but to be honest for me they were just tooooo expensive – true to the namesake of my blog, I sought out thriftier sources for my shoe fix! I found Lotta from Stockholm stocked super-cute clogs in so many different styles and colours for a fraction of the price of Swedish Hasbeens. I chose red leather peep toe clogs at £61.10 inclusive of delivery. They arrived in 2 days much to my excitement!!! I couldn’t resist whipping off my other shoes to try them on immediately! They were clearly handmade and of excellent quality. I have to say that for solid wooden soles they are very comfortable, though you might have to get used to the adjustment of walking gait given their inflexibility. I totally want to add loads more pairs to my collection, though as wardrobe space is limited at the moment I think I might have to postpone!